The 550 INDY snowmobile is a great value for recreational trail riders. Its PRO-RIDE Chassis and 550 fan cooled engine provide a fun ride with precise handling. PRO-RIDE™ CHASSIS: The INDY is built on the proven PRO-RIDE Chassis that is 300% stiffer for precise, intuitive handling. The ideal choice for a nimble handling sled that’s fun to ride. RACE-PROVEN FRONT SUSPENSION: Lighter steering, sharper cornering. Developed in conjunction with the Polaris Racing program. Its performance and durability were proven in extensive on- and off-track testing. 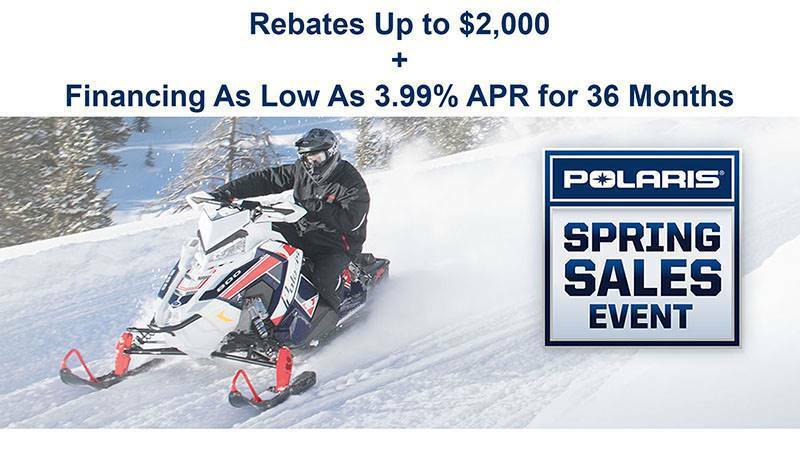 550 FAN ENGINE: Proven, durable, fan-cooled snowmobile engine provides reliable performance at a great value. CVTECH POWERBLOC 50 / INVANCE CLUTCHING: All INDY models powered by the Polaris 550 fan-cooled engine use the new CVTech Powerbloc 50 drive clutch paired with the Invance driven clutch. This clutching delivers smooth engagement, enhanced low-speed drivability and quieter operation. These durable clutches have a maintenance-free design and are easy to tune while installed on the sled. LIGHTER WEIGHT: The 550 INDY is 50 lb. lighter with the PRO-RIDE chassis. 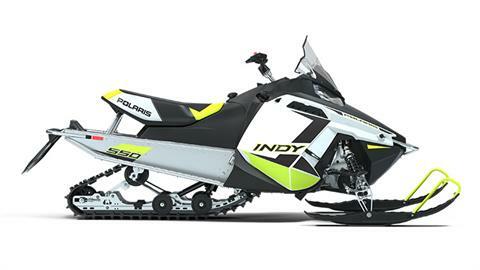 INDY PRO-RIDE SEAT: A wider surface right where a rider plants for seated riding provides enhanced comfort during long days on the snow, and the seat design allows easy transition between seated and standing positions. HANDLEBAR & STEERING POST ANGLE: INDY 550 design - 15 degree flatter steering post angle developed for sitdown and standup riding comfort and flexibility.